Home › Home and Kitchen › Prextex Halloween Dcor Set Of 18 Realistic Looking Spooky 9" Pvc Bats And She..
Prextex Halloween Dcor Set Of 18 Realistic Looking Spooky 9" Pvc Bats And She..
Prextex Set of 18 9" PVC Spooky Bats and Sheet of Peel and Stick Bat Stickers for Best Halloween Decoration. Bats: Remove Protective Paper from the Back of Adhesive Tab on Bat and Stick to any Clean Dry Surface! Bat Stickers: Stickers are Removable but not Repositionable once Removed. Adds a Great Finishing Touch to Your Halloween Theme! Realistic Looking with Great Detail! These spooky bats are nothing short of 'spooktacular'! 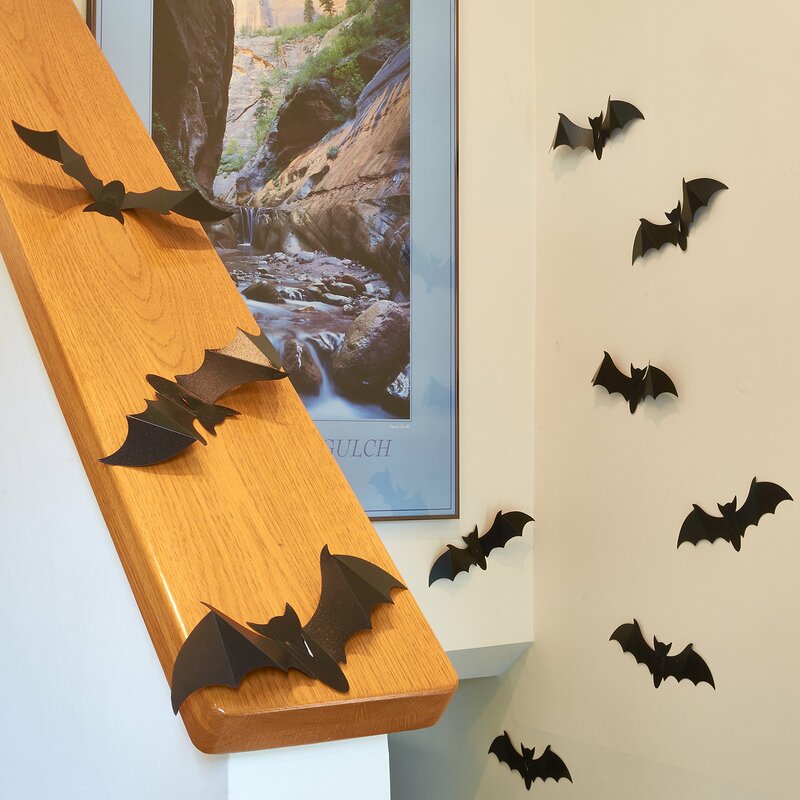 Add a terrifying touchto your Halloween party decoration by sticking these vampire bats ontowindowsills, walls, doorways, creepy cloth; or stick them onto your porch gateor patio fence on trick-or-treat night for some frightful fun! They come 18,9" adhesive bats per pack, including a sheet of peel and stick wall artstickers. Use them indoors or outdoors, stick them wherever... they're sure toset the perfect horror scene!